I made these booties for my husband’s co-worker. They just had a new baby boy 6 weeks early, but everything is looking good. 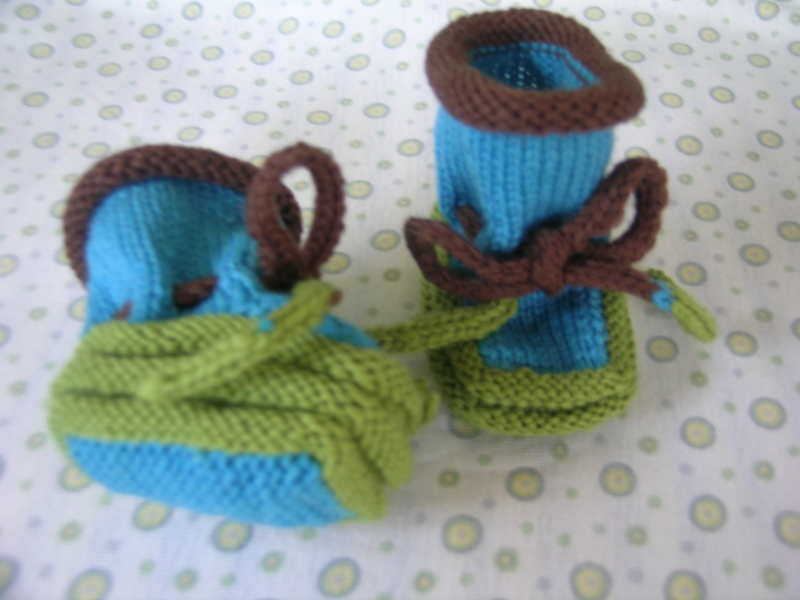 The pattern is Christine’s Stay-on Baby Booties, and it is worth giving the link to this again. This is my second pair of these booties. I think that they are fun to make, and they actually do stay on. The booties start with a 10 stitch by 36 row garter stitch bottom. 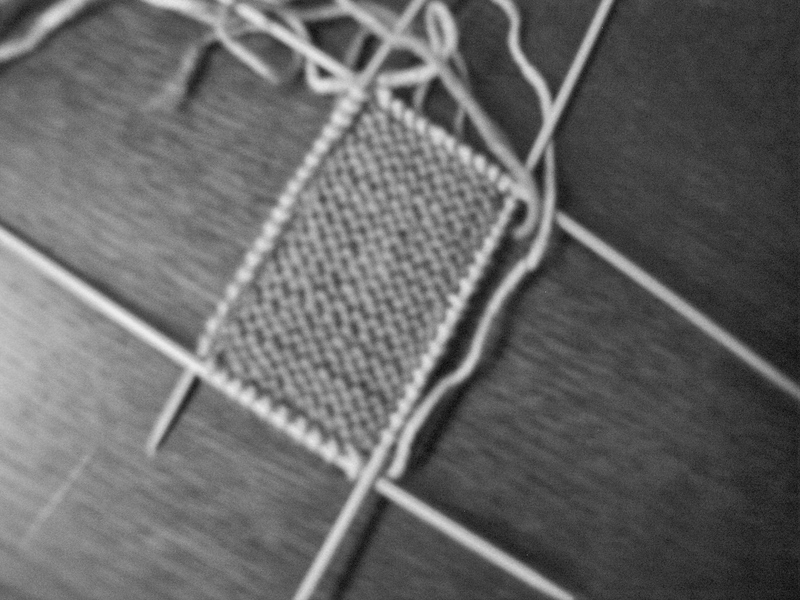 Then you pick up 18 stitches along each side, and 10 sts at the cast-on edge. 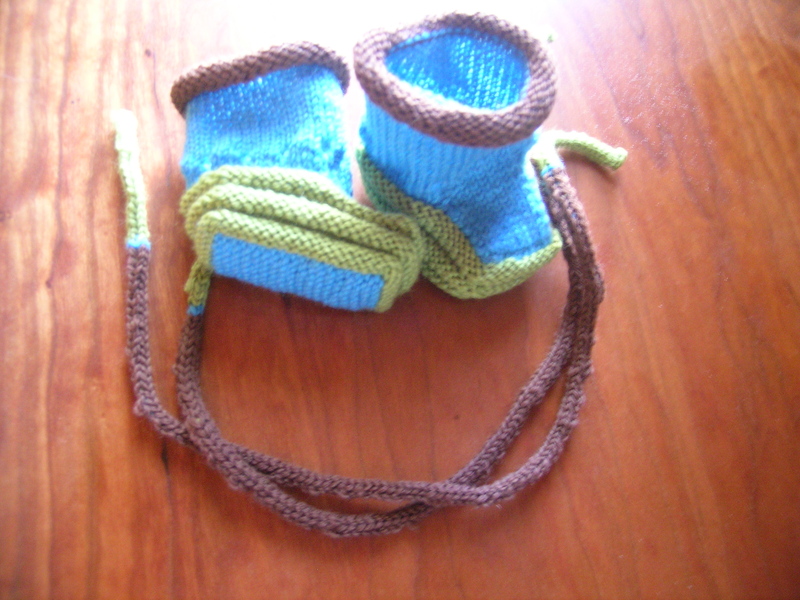 From this point on, the booties are knit in the round, with the exception of a few short rows at the top of the shoe to create the front part of the foot. It is a very easy pattern to follow and quick. I chose to make these with multiple colors. The ties are a 4 stitch I-cord to match. When looped through the eyelet holes, these cords securely tie the booties onto any kicking babies’ foot. I gave 8 rows for the brown turn-over top. As you can see, the change-over shows just a tad at the top. Next time I think that I will allow 10 rows. 40 years and 10 hours (Years it took to master your craft + time for the current project). Yarn is Dale of Norway Baby Ull. Oh those are so cute thanks for sharing the pattern & your sister is smart. Those booties are adorable. Ones that actually stay on are extra appreciated! I love your sister’s quote… We can be honest about the effort for the item and still recognize how long it took to get the skills required.